Mark Hill Publishing tells us more about Raymor . Who was a US import/ distribution company of home goods and home décor, that by the 1950’s was bringing the work of some of America’s and Europe’s best modern designers into American department stores and boutiques. 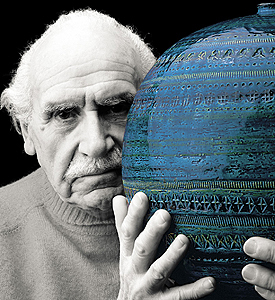 It was Raymor who helped bring fame and notoriety to Bitossi ceramics. 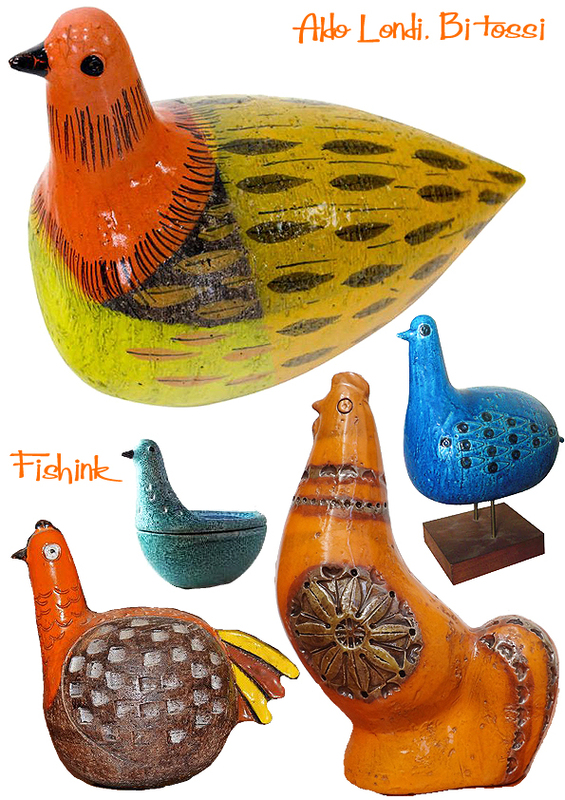 I love his ceramic birds and their beautiful textural marks and imprints. Some great shapes and colours. Those Rimini Blu’s must have been a common site in the sixties and seventies. 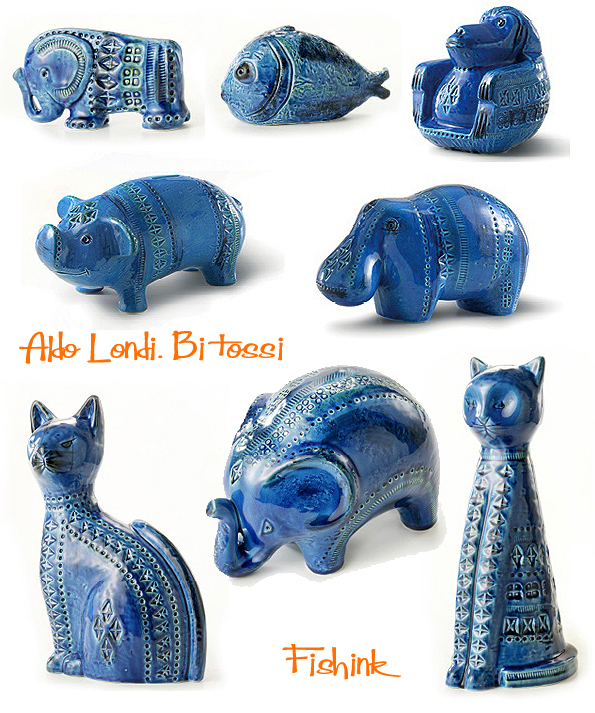 Aldo made many forms and styles of ceramics. 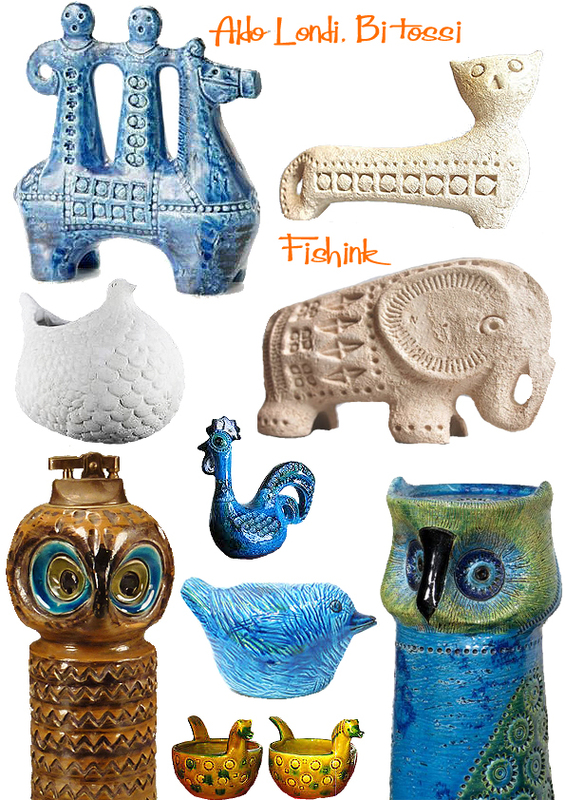 Quirky lamp-stands made out of birds, fish or horses. And many, many shapes with such a variety of decoration. Probably his most well known or recognisable work were the horses and bulls. 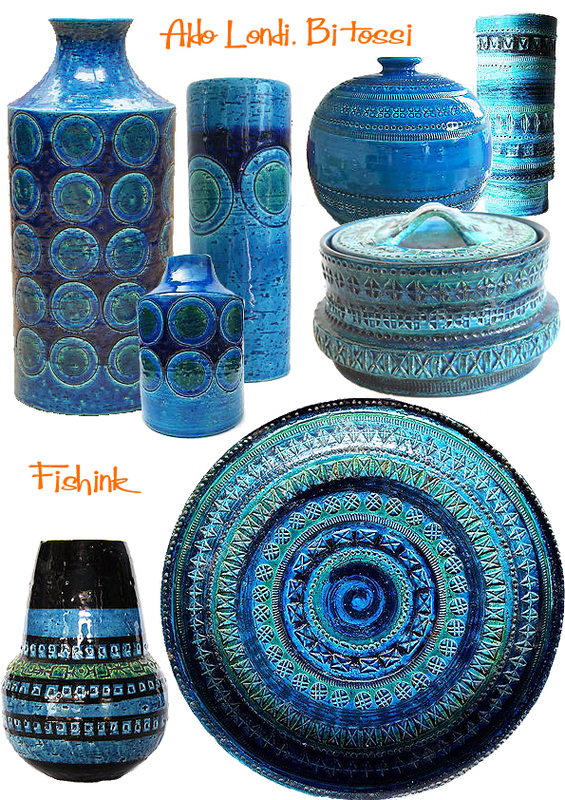 These also came in different colours, however the blue glazes were still the most desirable by far ! There’s an interesting article over on The Vintage Post explaining how to tell the difference between a retro ceramic piece and a modern day version. 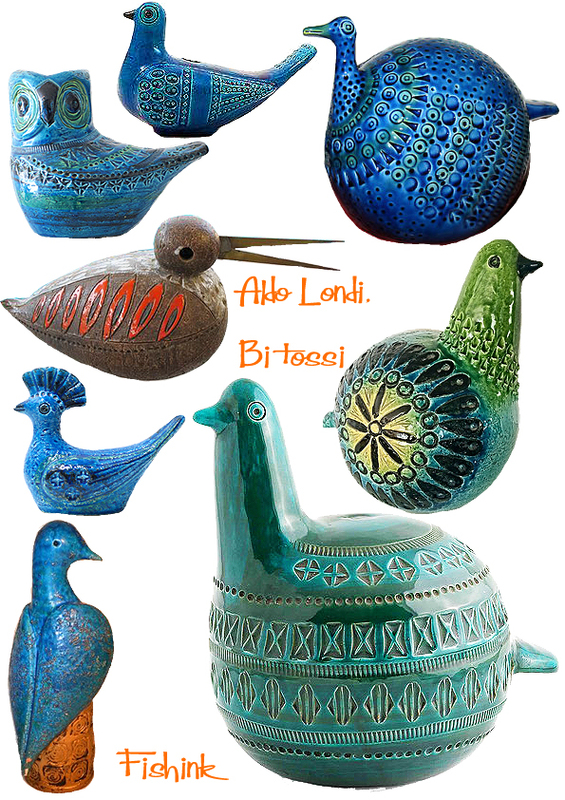 Does anyone remember some Londi pottery in their home or perhaps have a piece today ? Oh I adore his animals and birds! Incredible! When I was a child I went to my cousin home and I saw and admire (still I was little, I was ipnotized by that) a blue plate and now I discover which is the author! I adore all of his work. Have a wonderful day e sorry for my bad english! I’d love some help identifying some pieces of mine if possible. Some I’m relatively confident, a couple not so much. I’ve emailed Bitossi for help with one with no response, but I’m sure they’re inundated with requests. Thank you in advance to Pina, or anyone else to whom I could send some photos. Mi parliamo Italiano poco e piace tue Inglese. Ben fatto. cool things. I love the ‘natural’ look of ceramics, ‘earthy’. makes me feel calm and grounded. Great shapes and colors. Who knows, I might find some of these at the local thrift shop. hi, very helpful article. I am curious do you know anything about the Bitossi signature of the word Italy. Most are printed but I am coming across ones in script that may indicate very early Bitossi. Any ideas? Also your first picture of Londi holding a pot. The glaze on that pot is leaning more deep greeen. Do you have any idea whether this color range was early or late? 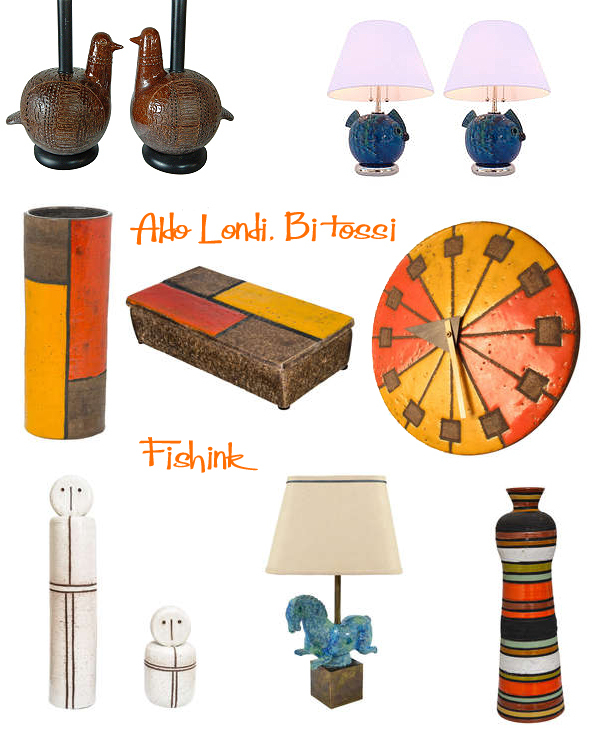 Some aren’t BITOSSI/LONDI pieces ! Can you tell me which pieces aren’t Bitossi /Londi and I will amend. Sources are taken only from the internet so unfortunately sometimes that information is wrong. 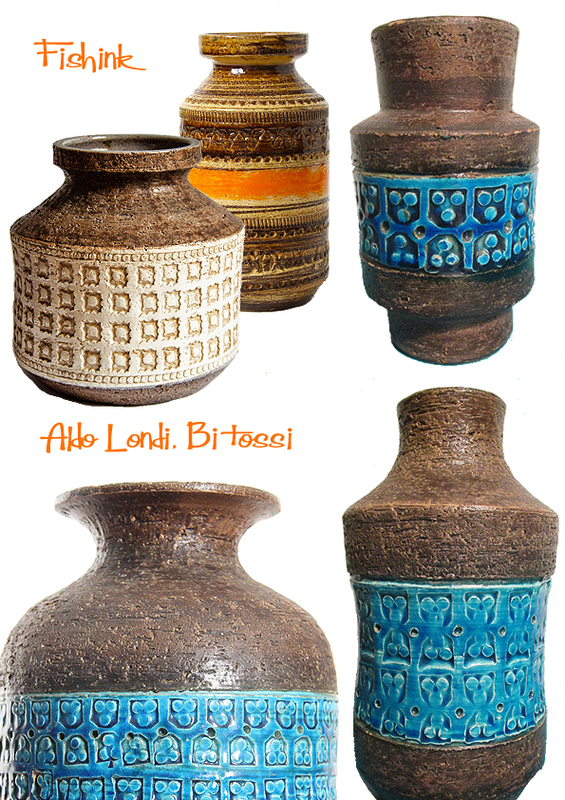 I can also tell which ones are not bitossi too.. If you can e mail me i will send you with marked which ones are which ones not 🙂 Still a great work..
What is the relationship between Londi and Jama Holland? 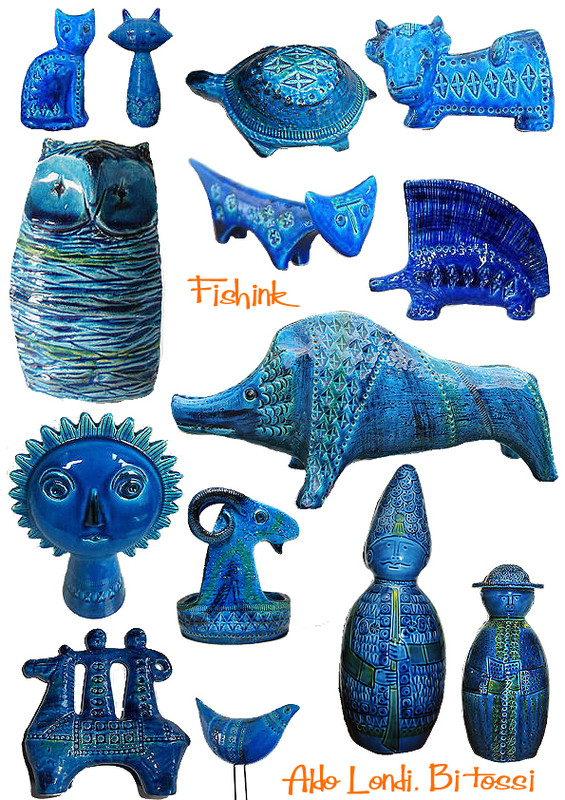 My rimini blue bull is marked Jamaica Holland 79. A quick bit of googling has shown me this…. 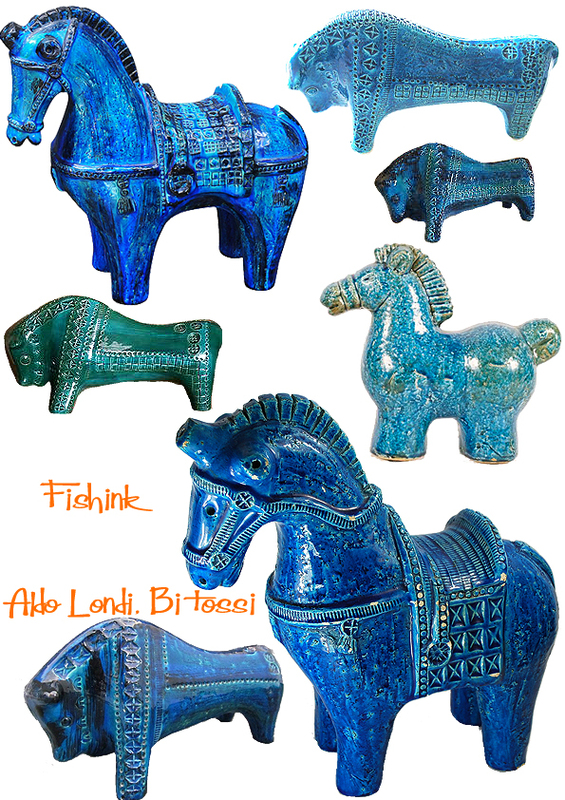 (https://www.etsy.com/uk/listing/202934570/jema-holland-bull-79-large-modernist) Bitossi style rimini blu, or turquoise blue bull by Jema of Holland. 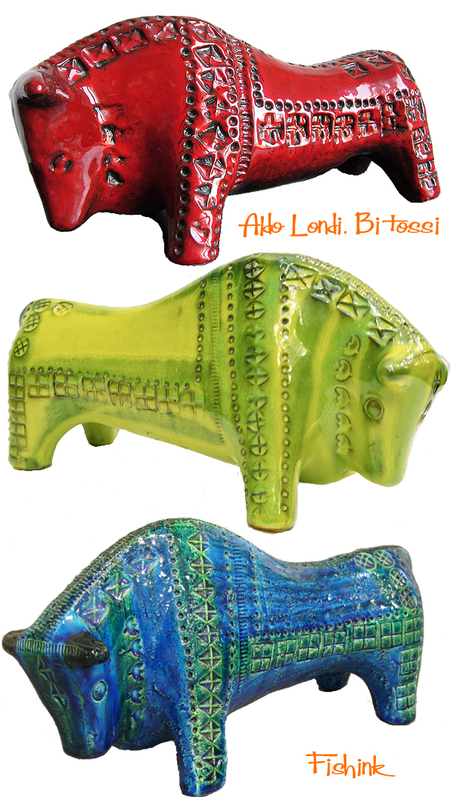 These hard-to-find mid-century bulls were produced around the same time as, and were styled on, the Bitossi bull by Aldo Londi, but are slightly larger. These bulls by Jema are increasing in value and may soon match the Bitossi bulls so are a good investment. 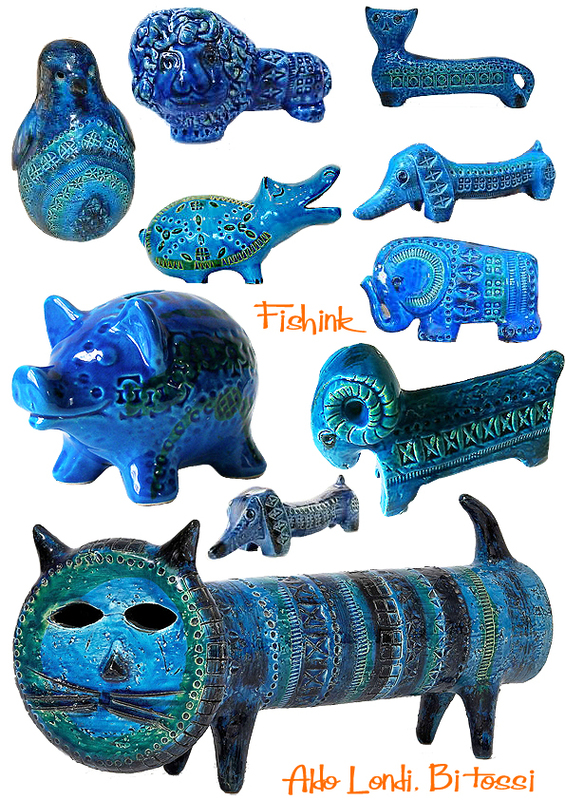 This large and powerful looking bull is hand-painted in varying shades of blues and greens in traditional Bitossi style, with areas of what look like black salt glazing, and is decorated with bands of impressed motifs. The underside is impressed with the mark ‘Jema HOLLAND 79’, where 79 denotes the model number, not the year. I have a lamp like the vase in the eighth section, the vase right below the clock. It is striped with the same colors and has the marking of 1400 *Tay (Ive seen the marking on other lamps and its the same with different numbers). Do you have any information I could have on this or if you don’t thank you. I love this lamp so much, it just makes me happy!!!! My mom collected owls back in the 60’s and 70’s. She has a yellow owl 10 inch candle stand made for Rossenthal Netter. It has original writing on the bottom that says Italy 45/4. I didn’t realize this until she passed away recently and I noticed it going through her things. Thank you Jerene for sharing your owl story, not a company I’ve heard of, I’ll have to look them up. Hope your mums owl is on display somewhere.. if it’s your taste.